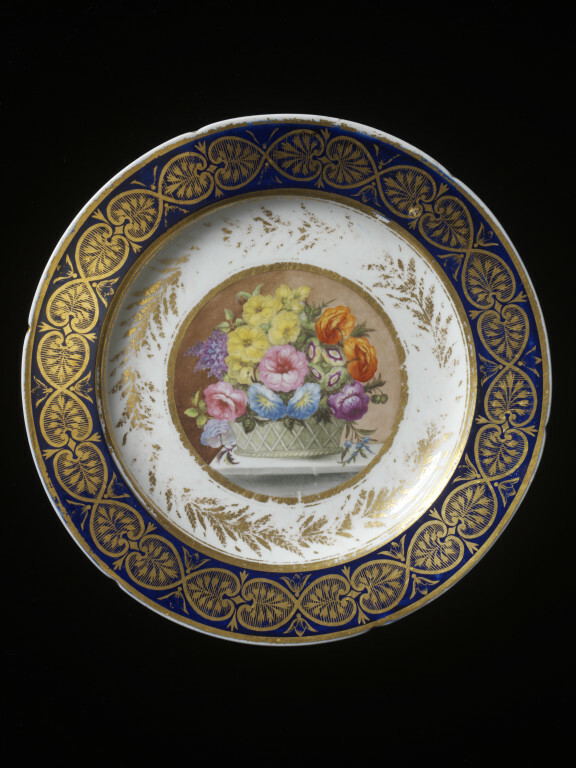 Plate of porcelain painted with enamels and gilded. Painted in the middle with a basket of flowers surrounded by a wreath of laurel foliage pattern of heart-shaped compartments, and outlined by wavy stems enclosing formal foliage in gold on a dark blue ground. 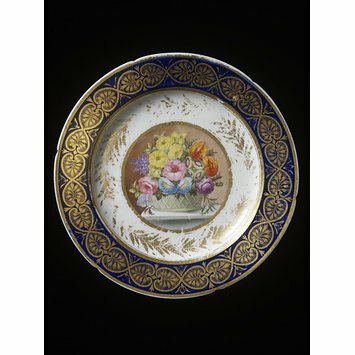 Plate of porcelain painted with enamels and gilded, Coalport Porcelain Factory, Coalport, ca. 1810.